For the best price on Chicago suburbs corporate housing, you can count on Premier Luxury Suites. We have properties located throughout the city of Chicago and its suburbs. The properties we have available are brand new, state-of-the-art facilities that are located in some of the most sought after locations. You get the best of everything, when you choose a Premier Luxury Suites property, including the best price on Chicago suburbs corporate housing. Premier Luxury Suites caters to the business traveler, individual, or family wanting the best price on Chicago suburbs corporate housing. Our properties are great for relocations, as well as long vacations with more than just a bed to come home too. All of our properties are architecturally unique with interiors that have been professionally designed by some of the best interior designers. We also take the time to put the extra details into our corporate housing, condominiums, and apartments. Each suite or apartment includes stainless steel appliances, quality finishes, such as granite countertops in the kitchens and high-end furnishings to make you feel at home. Here at Premier Luxury Suites, we have more than just the best price on Chicago suburbs corporate housing, we have the best properties. Each property offers its own unique features and amenities. 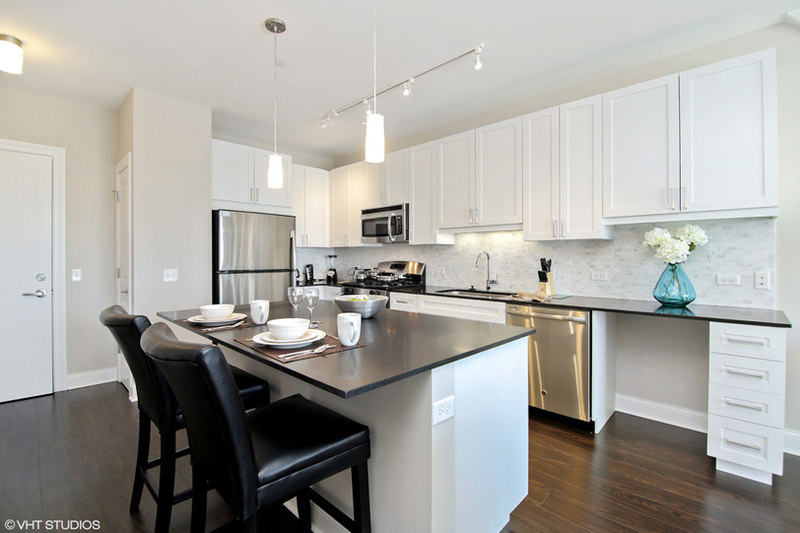 Our options, such as NorthShore 777, One Arlington, and Northgate Crossing, are the newest and most sophisticated buildings available within the suburbs of Chicago. Our city locations are also some of the finest and most centrally located options available. In fact, not only do we have the best price on Chicago suburbs corporate housing, but we have solutions that can keep you healthier, fitter, and happier than even a luxury hotel can. This is because we have properties that are LEED certified, pet-friendly, include gourmet kitchens, and have amazing workout facilities. Premier Luxury Suites provides our customers with everything you would want from your own home or apartment, while including some of the best amenities to help you make the most of your personal time. Our range of amenities includes swimming pools, outdoor spaces, workout facilities, and even a property with a virtual reality golf simulator. There is no need to keep looking for best price on Chicago suburbs corporate housing, because you are already on the Premier Luxury Suites website. The hardest part is often choosing which of our luxury buildings you prefer. You can forget about looking for best price on Chicago suburbs corporate housing and let Premier Luxury Suites point you toward the perfect apartment for you. You can start your quest by reading over the different properties on this site. You will also learn about the details that have gone in to creating each building from the individual apartments to the shared spaces. When we say just bring your clothes and unpack, we mean it. You can see everything that is included with our Executive Suite Furnishings on this site. If you have any questions or would like more information about a specific property, please contact one of our associates at Premier Luxury Suites.